Learn how to Eat and Train your way to a Healthier You with Syner-Fit Training Systems. Based in Hemet & Malibu California, we provide meal plans and training programs to help you use your Muscles to Lose Weight, Fat, Inches - At The Same Time - Also enhancing your Muscle Health and Development you will be in the Best Shape Ever...it will be your Ultimate Body, Inside & Out...To Be Sure. "Expert" plans are for the three "Specific Body Types" [ Ectomorph - Endomorph - Mesomorph ] these are what all Humans are ["Seminar" coming soon ] each program has [ 1-yr. 4--12 wk. courses & meal plans ] to follow a total years work-out routine training in accord with your [ Natural Body Type ] expediting proper results and attaining goals faster ...just a "click away". 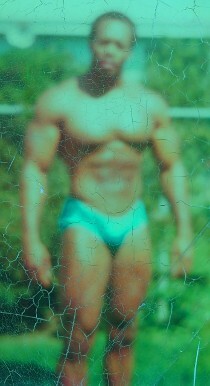 Each one of the three "Body Type" programs are for [ Real Muscle Building & Defining ] They were originally designed for Bodybuilding Only, but have been rivised for the [ Concept -of- BodyBuilding ] to benefit "Male & "Female" in their Physique Goals, accompanied with meal plans that are [Food - Grouped] per Body-Type, in the Science for the Body. Contact us to take control of your health with our diet and exercise plans.